We realized early on that curtailing pet overpopulation was key to building a No Kill Chicago. The main tools to reducing the birth of unwanted animals are spay/neuter programs and community outreach. The majority of stray, feral and other homeless pets originates in low-income, under-resourced communities. Important pet resources like free spay/neuter surgeries, information on pet care and training, and affordable medical care are all necessary ingredients to reducing pet homelessness and building a humane community. With the PAWS Chicago Lurie Clinic located in Little Village and the GusMobile Spay/Neuter Van, which brings life-saving solutions directly to neighborhoods most in need, we performed 16,750 spay/neuter surgeries in 2018. All PAWS Chicago spay/neuter surgeries are provided for free or low-cost. PAWS Chicago’s feral cat Trap Neuter Return (TNR) program is a critical aspect of our targeted spay/neuter approach. 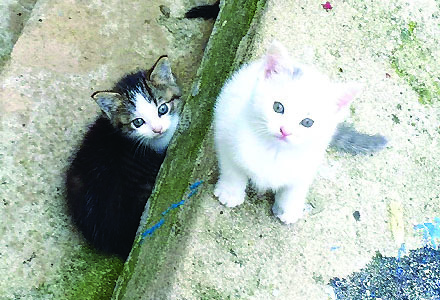 It is aimed at proactively sterilizing and managing the free roaming cat population, the source of thousands of kittens born on the streets each year. TNR reduces the number of animals entering the sheltering system while also saving kittens and finding them adoptive homes. In 2018, PAWS performed 2,914 spay/neuter surgeries on feral cats. Since the opening of the Lurie Clinic, PAWS Chicago has sterilized more than 45,000 feral cats. The Pet Food Bank and Crisis Care Program offer food, supplies and temporary foster care for pets of families who have fallen on hard times, helping keep pets with their families and out of shelters. In 2018, we distributed more than 25,000 pounds of pet food to the community. Expanding our reach and meeting people who would never have known about PAWS Chicago’s support and resources are the key objectives of our outreach efforts. In late 2014, we also launched the PAWS for Life Outreach Program to connect families in need with resources and information to help them better care for their pets. This program focuses on families in need, supplying them with resources and information to help them better care for their pets. Our door-to-door community outreach focuses on Chicago’s most under-resourced communities, reaching people where they live and providing pet information and resources, including free spay/neuter. About 87% of the pets we meet at PAWS for Life events have not been spayed or neutered. Of that number, we have been able to provide free spay/neuter and transportation for 90% of them. These vulnerable kittens were living in a hole in a Bronzeville sidewalk on Chicago's South Side. 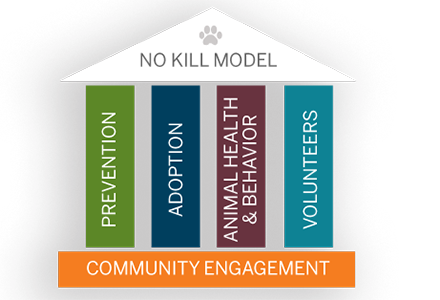 If not for the work of an animal rescue volunteer, they would likely be dead or breeding. Instead, they were spayed or neutered by PAWS Chicago, and are no longer adding to the animal overpopulation challenge facing many areas of Chicago. To understand the impact of a single spay or neuter surgery on preventing animal overpopulation, it is important to consider that each unaltered female cat can become pregnant at least two times per year, with an average of 2.8 surviving kittens per litter. Each kitten is then able to become pregnant starting as young as six months old. Theoretically, following this pattern, one cat and her offspring can be responsible for the birth of 420,000 cats in seven years. Though real-world conditions will vary, this math illustrates the importance of spay/neuter programs.